As I recently pointed out in an interview for a webinar titled The Future We Create, (sponsored by the Dow Chemical Co.) I believe we must clearly differentiate the concepts of Green Chemistry and Sustainable chemistry or we take the risk of confusing purpose and procedure; instead, having them both clearly defined we can use their definitions as a working frame in order to solve the ongoing environmental problems our society is facing. While I consider them both a lifestyle in science, one of the utmost relevance, Green Chemistry is oriented towards the way we perform chemistry in order to achieve a sustainable chemical industry. Chemicals are part of the human revolution, understood as that in which the human race has transformed his own environment and surroundings to an amazing -and yet alarming- extent; so chemicals and their chemistry, are not going anywhere. Perhaps we haven’t performed this revolution in the best possible way; and by that I mean a way in which we could keep on transforming our world and our surrounding environment practically forever without actually damaging but blending with them, incorporating the natural cycle of renewable resources in our own transformations. Sustainability is the way by which a process can endure over a long period of time and it requires a balance between the intake of resources and the outcome of products and byproducts, which ideally should blend back into the environment, or even yet more ideally, help in the coupled equilibrium of the generation of the resources needed in the intake of the same processes that generate them in the first place. It is a matter of balance, but more importantly about cycles; cycles that couple with one another in an economically, socially and chemically productive way. Only with this approach will our current society endure for the generations to come and will gradually encompass a larger number of individuals, minimizing the population whose survival is in danger. Sustainable chemistry is the philosophical approach, the ethical code if you please, with which the ongoing transformations can still be performed while the damage to the environment, namely our ecosystems, is brought to a minimum in order to maintain our industry and the benefits therefrom for generations to come and spread to a larger scale. But this is not only a mater of environmentalist nature, it is also an economical matter; Sustainable developement has to bring forward those who were already left behind; societies that now in the 21st century are still struggling with famine and disease and furthermore now face an even worse scenario when it comes to water. Also in urban areas sustainability can be the answer to job creations. Companies must increase their profits year after year, no doubt about it, but doing so in a sustainable and socially responsible way can ensure larger growths over larger periods of time while sacrificing the immediate profit for the long-term benefit. Computational chemistry plays a key role in the paradigm shift towards a sustainable chemical industry. The QSAR approach allows us to analyze the physicochemical properties of a very large number of compounds in less time of what ordinary chemistry would take. Computational chemistry gives the researcher a deeper insight of the electronic effects of any given chemical process through the mathematical modeling and computing of various properties. Computational chemistry based QSAR, alongside with combinatorial chemistry and high throughput screening methods are able to do the work of a thousand chemists in less than a year, saving resources, time and also making a larger exploration of the chemical space relevant to the process under study. Nature has been sustainable on its own with no better example than photosynthesis. Photosynthetic organisms use CO2 as intake and transform H2O during that process into O2 which is expelled as a byproduct which is then inhaled by animal organisms which use it in their metabolism to produce CO2 as a waste product. The fragile equilibrium goes on and on provided other equilibria are kept in balance (physical conditions such as pressure and temperature). But it should be! Right now it ain’t because we haven’t done enough efforts to perform a paradigm shift. in schools, in our jobs; our everyday lives. it will be very expensive yet the cost of negligence will be even higher and paid by the generations to come. Please share your thoughts and practical ideas for a sustainable future within the framework of your own green chemistry paradigm in the comments section. I was recently invited to participate in a series called The Future We Create. This event is the third installment in an ongoing conversation (sponsored by Dow Chemical) to explore how chemistry can collaborate with other sectors and concerned citizens to solve humanity’s most important challenges. The title of this installment is The Future of Sustainable Chemistry which will be aired next Tuesday! An official invitation follows. Thanks and I hope you all tune in (I don’t know if the video will be available on their site after the broadcast). I am happy to invite you to The Future of Sustainable Chemistry video conference on August 16 at 11am EST, where I will be one of the speakers examining the role chemistry can play in a sustainable future. · Collaborations, Working Across Sectors and BordersThe virtual conference will help participants from around the world gain a greater sense of the central role chemistry plays in all of our lives, as well as the direction it must take to catalyze a sustainable future. It is sure to be a lively conversation. I hope to see you there! For over twenty years, there has been an ongoing scientific collaboration between the Institute of Chemistry of the National Autonomous University of Mexico and the Faculty of Chemistry and Chemical Engineering of the Babes-Bolyai University located in the city of Cluj-Napoca, Romania. 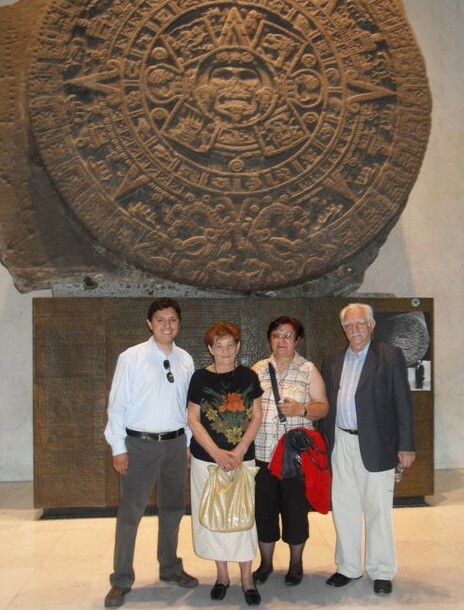 It all began back in the early nineteen nineties when Professor Lara, then director of Instituto de Química, extended an invitation to Professor Ionel Haiduc, who at the time served as Vice President of the Romanian Academy, to spend a few months in Mexico for a research stay. Later on prof. Dr. Ioan Silaghi-Dumitrescu and his wife paid a couple of visits to our institution also during the nineties; their last visit together occurred in 2002 when prof. Ioan Silaghi-Dumitrescu was asked to teach a small course on molecular modelling. It was during this visit that I came to know about the Babes-Bolyai University and more importantly, it was when I met both Prof. Ioan Silaghi and his wife Prof. Luminita Silaghi, an acquaintance that shaped many aspects of my life in the years to come. Other Romanian guests came to work at IQUNAM, such as Dr. Ion Grosu, who worked as a postdoc with Prof. Roberto Martínez in the Organic Synthesis department. Prof. Cristian Silvestru also collaborated with the group of Dr. Raymundo Cea-Olivares in the field of Main Group Metal Chemistry. Prof. Raymundo Cea-Olivares has been to Cluj-Napoca a couple of times visiting the lab of the late Prof. Silaghi. I went for a research stay during my Ph. D. in 2005 and then went back to occupy a postdoctoral position in late 2008 which lasted until 2010; I also participated in the MolMod seminar in 2007 while working at a private research center, then thinking I wouldn’t go back to academia. Dr. Liviu Bolundut, a then Ph. D. student of Prof. Haiduc’s, came to work with Dr. Monica Moya also in the field of Main Group Metal Chemistry. The interaction between our two institutions has a sound history. As part of the celebrations of this year, the International Year of Chemistry, I issued an invitation to Prof. Ionel Haiduc and Prof. Luminita Silaghi-Dumitrescu, to give a couple of lectures at IQUNAM about their current research. Fortunately, they accepted and found the time in their tight schedules to come. We were also fortunate enough to get the official approval by the corresponding committee at UNESCO of making these conferences part of the official celebrations of IYC 2011 (In fact, they were the ones who came up with the name of the event which is the name of this post as well.) The scope of this visit also included to encourage our scientific community to keep the collaborations alive with UBB. We had these conferences twice, first at CCIQS here in Toluca and also at the original facilities of IQUNAM on the main University campus in Mexico City. Both events were successful in attracting a large number of researchers but more remarkably a large number of young students who have read about their work and are aware of their reputation on their respective fields; the following picture of our guests with young students of UAEMex, serves as proof. But I get ahead of myself, for in fact we did more than just having lectures and showing them our new facilities. During the course of their stay,which lasted a bit more than a week, Professor Cea-Olivares and I took them around to do some tourism. During their first weekend I took them to the Folkloric Ballet at the Fine Arts Palace and to the Anthropology Museum, both in Mexico City. 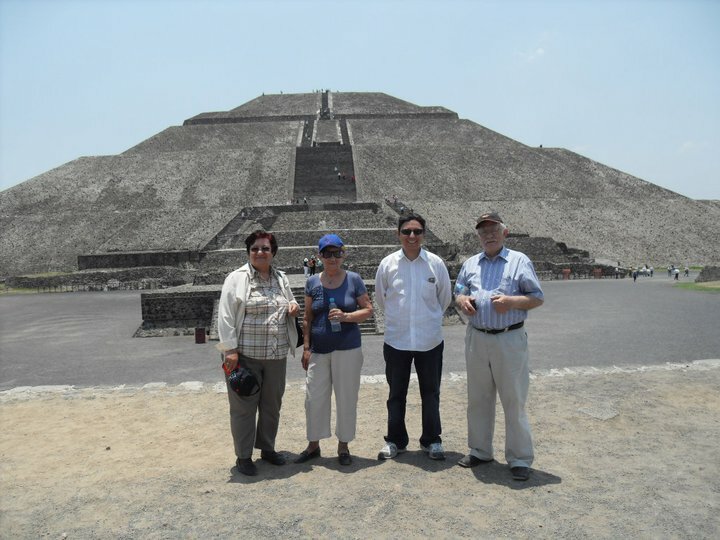 We also went together to the Aztec ruins of the city center and the larger archaeological site of Teotihuacan, where Mrs. Iovanca Haiduc even got to climb the Sun’s Pyramid, a challenge to which I decided to pass this time. Prof. Cea-Olivares took them outside Mexico City into Cuernavaca and Taxco, the latter being an old silver mining town famous for its jewelry stores filled with Ag merchandise. We all had a great time traveling around, chatting and in general enjoying each others company. But now back to science. Prof. Haiduc’s lecture was titled “News in Supramolecular Chemistry”, in it he talked about the basics of supramolecular chemistry as the branch of chemistry that deals with the non-covalently bonded chemical species; the chemistry of secondary interactions as defined by Allcock in 1972. A survey of the existing x-ray structures database was performed by Prof. Haiduc along with his colleague Prof. Julio Zukerman-Schpector in Brasil, in order to find some previously overlooked patterns in intermolecular arrays containing Te (II) or Te (IV) along with aromatic groups, revealed that the Te – Ar interactions through the Π electrons cloud are found more often than previously believed. The most remarkable feature of this array is the fact that the electron density in the formation of such interactions stems from the Te atom (through the stereochemically active lone pair) and into the LUMO of the aromatic moiety in the second molecule. This represents a fascinating coordination mode for Te organometallic compounds! Prof. Luminita Silaghi-Dumitrescu talked about her research on heterotopic As ligands, some of which exhibit remarkable new coordination patterns stabilizing dinuclear complexes with late transition metals. I felt nostalgic reading the names of old friends and colleagues who collaborated in the work described. Prof. Haiduc (who is currently President of the Romanian Academy) shared many anecdotes about his times as a PhD student at the Lomonosov Institute back in the Soviet Union under the supervision of Prof. Andrianov. From these anecdotes it is possible to extract the feeling of doing science during the Cold War period since he had to be weary of espionage, which by the way went both ways! He talked about secret research facilities and scooped papers. One could easily think that basic chemistry research would be far from the interest of high political powers who could find aeronautical research more interesting! A developed country is able to acknowledge the value of science in preserving a strategic position in the world. His old advisor, Prof. Andrianov, was considered a hero by the Soviet Party among other things for his work on Silicon based polymers which were used as lubricants in heavy machinery and vehicles during War War II. German tanks used regular carbon based oil which in the Russian winter became extremely viscous, practically became gels! while Silicon based oil could almost preserve its original viscosity at very cold temperatures. In summary it was a great opportunity to learn from great chemists whose scientific reputations could easily overwhelm any scientist worth his salt! But it was above all things a great opportunity to meet once again dear friends from a dear country I once got to call home. The Institute of Chemistry of the National Autonomous University of Mexico becomes 70 years old this month, and to kickoff the year round celebrations our institution has organized a series of lectures with the notable presence of Nobel Laureate, and former student of this institute, prof. Dr. Mario Molina whose presence has become ubiquitous within the Mexican scientific community events given his status. His presence is also relevant under the scope of the new branch of Instituto de Química, which is the Joint Center for Research in Sustainable Chemistry from which I write these lines. I have many fond memories of the time I spent there as a grad student; I specially miss the beautiful area on campus on which it’s located next to the buildings of other science institutes. And now gather ’round for some history! The Institute of Chemistry (Instituto de Química) was founded on April 5th 1941 with the mission of organizing the -then small- existent chemistry community in Mexico. Since three years before that, former President Lázaro Cárdenas expropriated oil wells and refineries from foreign companies, there was a strong need for more specialized human resources in the different areas of chemistry who could develop our incipient petrochemical industry. Thus, one of the first tasks of Instituto de Química was to develop a method which could provide all tetraethyllead (IV), an organomettallic compound which was used as an antiknock additive in gasolines, way before it was banned for being highly toxic. 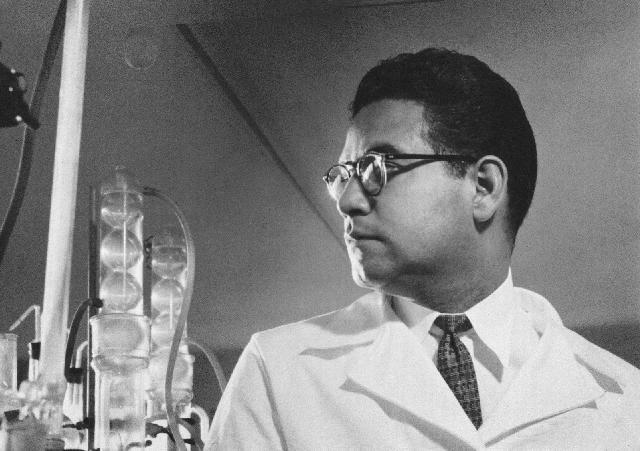 One of the major historical contributions of Instituto de Química was the work of Dr. Luis Miramontes (1925 – 2005), who worked in the development of the synthesis of progestin, a synthetic hormone which was used in the first oral contraceptive*; an amazing achievement for a 26 year old doctor! Along with Dr. Miramontes, Dr. George (now named Jorge, although née György in Hungarian) Rosenkranz, from the pharmaceutical company Syntex and Dr. Carl Djerassi, who is called the father of the pill, this enormous scientific but specially social groundbreaking achievement was accomplished. It has long being argued that a Nobel Prize should have been awarded to this international trio of chemists, but nevertheless worldwide recognition is due. Many are the achievements of Instituto de Química on many different branches of science; from synthetic organic chemistry to natural products research. The institute has hold six Professors Emeritus so far and continues to be one of the leading chemistry research facilities not only in Mexico and Latin America but in the world. Keeping track of our history helps us maintain our identity as scientists as well as to preserve our cultural heritage, all which in turn allows us to find paths into the future so we may keep on doing the inspirational science our country, and the world, needs. Many are also the issues on which we have to work in order to keep it competitive and to bring it back to the cutting edge of science. The research staff of the institute is highly committed to achieve so in the next few years by developing both relevant scientific knowledge and human resources who can make further contributions to the advancement of chemistry, and science in general, whithin our country. This year is a year of chemical celebrations: From the International Year of Chemistry (IYC 2011) to the 7oth anniversary of Instituto de Química, as well as the 95th anniversary of the Chemistry School also at the National Autonomous University of Mexico. So ¡Feliz Cumpleaños, Instituto de Química! Thanks for reading, rating and commenting! 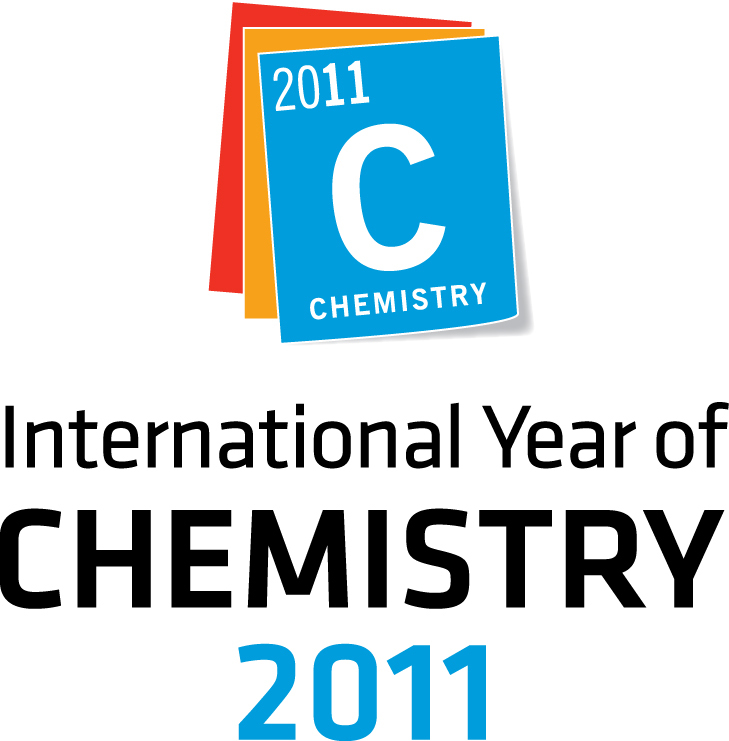 In April 2006, during a IUPAC Executive Committee meeting, the idea for an international year of was first discussed. From that meeting a IUPAC committee was appointed to work along with UNESCO in the creation of the event and finally during 2008, the year 2011 was officially designated the International Year of Chemistry (IYC 2011); additionally 2011 marks the 100th anniversary of the Nobel Prize awarded to Madame Marie Curie so the IYC 2011 will also be devoted to celebrate the contributions of women to science in general and not only to chemistry. Furthermore, 2011 is also the 100th anniversary of the founding of the International Association of Chemical Societies so the benefits of international scientific cooperation will also be highlighted. We live in times where science surrounds us yet people fear it, distrust it, argues it without foundations, school boards in first world countries dare to promote religious-like factoids in education. It is our duty as scientists to raise awareness about the importance of chemistry to the technological and cultural advancement of the human race, at least so next time some TV ad announces a chemicals-free product people raise their eyebrows. Like every well respected institution around the world, here at UNAM we are organizing a series of events directed to celebrate the International Year of Chemistry. I’m already trying to organize a visit for some of the most brilliant people I had the pleasure and honor to meet and work with at Babes-Bolyai in Romania, hopefully we’ll build some academic bridges between our two institutions. Also a series of books on different aspects of chemistry (from the very scientific to the more philosophical kind) will be published by our university. I encourage you to promote the events in your local scientific community, but also to raise awareness within your non-scientist friends. 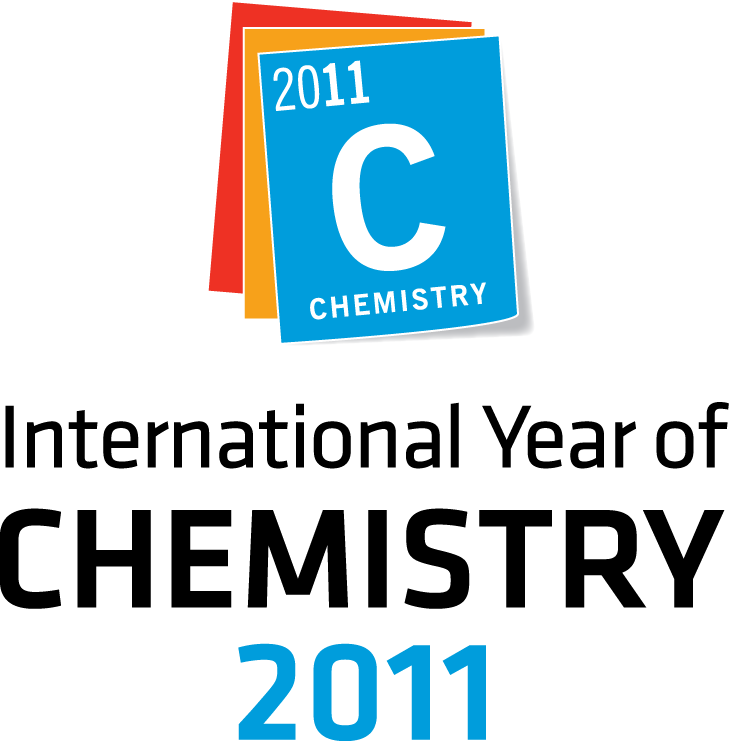 I will sign all my emails, twits, blog posts and Facebook updates with something like ‘2011, International Year of Chemistry’. What about you? Chemists of the world: Get involved!